Do you feel a connection to the holistic mindset? Do you believe that the body is capable of self-healing given the right environment? The Reflexology Practitioner Program (RPP) is designed to empower you with the knowledge, skills, and practical experience needed to learn this gentle healing art and become a facilitator of wellness. 150 hours of advanced, elective modules for graduates of the Foundations course. The opportunity to earn your 300 Hour Certificate in Reflexology (the recommended hours of education by the RAA). A variety of dates and times to fit your schedule. Discounted tuition for early registration. Reflexology is a holistic path to a healthy, well-functioning body. 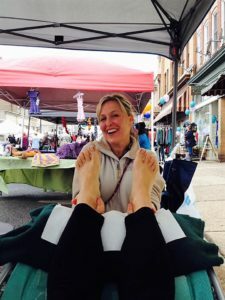 As a practicing reflexologist, you can have a positive impact on others’ health, add to your existing modalities, create your own schedule, and enjoy a meaningful part-time or full-time career. 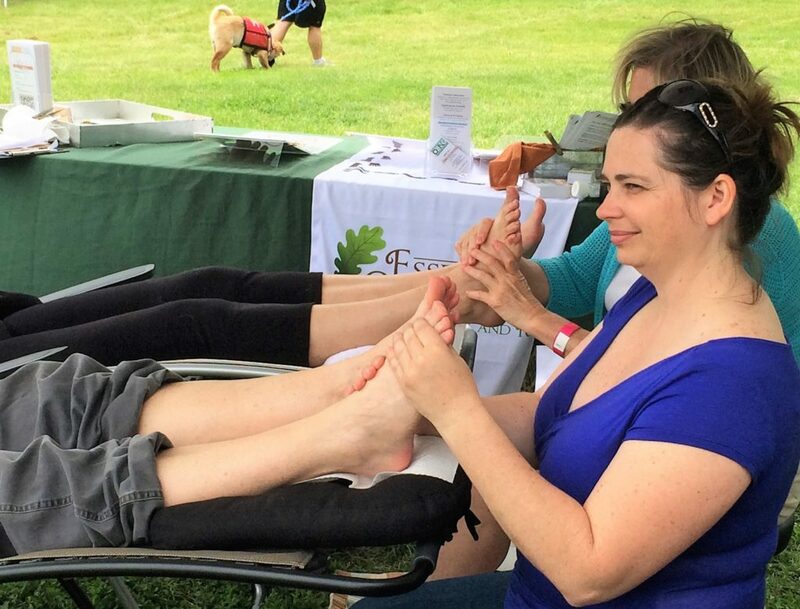 Wondering who you can help with reflexology—and how? Click on the video to find out! Now that you know who you can help, here’s a sneak peak at what you’ll learn. This 150-hour course combines convenient online modules with hands-on experience in live classes to give you a solid foundation in the core knowledge needed to become a skilled professional reflexologist. While the course teaches all of these basic foundations and skills, the goal is to foster critical thinking and emphasize the place of intuition in the process. Small class sizes (max of 6-8 students) ensure plenty of individual attention. “I just finished the 6-month weekend program this month. Greatest thing I’ve ever done in my life. Tracy teaches the class in a conversational style which makes it easy for learning. Also having that small classroom makes it easier. This program helped me to set up my own reflexology business and gave me the confidence to be an independent contractor! I never took a business class or ever thought I would have my own, but my life seriously changed after this! I can’t say enough wonderful things about Tracy and this program. So thankful.” –Nicole B. Part Two is made up of 150 hours of advanced, elective modules for graduates of the RPP Foundations Course. Completion of both series earns the graduate a 300 Hour Certificate in Reflexology (the recommended hours of education by the RAA). Modules are taken at your own pace, and are designed to deepen your understanding and enhance your proficiency as a reflexology practitioner. All courses incorporate a hands-on approach that emphasizes learning in a relaxed, enriching and enjoyable format. Here, learning is fun, empowering, and experiential! “Truly, Reflexology is a tool of empowerment. Empowering the human body to seek its full potential. in their own healing & wellness potential. The simplicity of Reflexology shrouds the near magical effectiveness of its function. 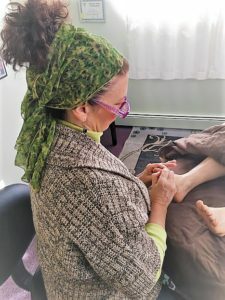 Reflexologists are involved in, facilitators to, the act of reconnection. Spring Enroll by January 10th to save! Fall Enroll by August 25th to save! To take advantage of the payment plans you must be willing to set up monthly recurring billing for the length of your payment plan. Payments will be set for the 1st of each month. All plans will have the course paid in full prior to graduation. If there are any issues with the automatic payments a $40 fee will be assessed and the payment must be made prior to the next class meeting. Course Tuition must be paid in full before a student will complete the course and receive certification & transcripts. There are no refunds for the class. The class can be taken at a later date.